The City and Guilds 2394 qualification is for practising electricians who wish to have a qualification that will enable them to inspect and test new electrical installations.It is also a level 3 qualification.This is combination with the City and Guilds 2395 course replaces the old C and G 2391. The course is a combination of classroom work and practical. Online multiple choice paper consisting of 40 questions. You have 80 minutes to complete the test. If you pass the online test then you do not have to take it again if you choose to do the City and Guilds 2395 course, as it is the same test. 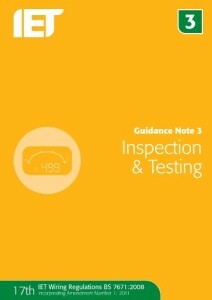 You will need to know your Guidance Note 3 very well and also have decent knowledge of your BS 7671. A closed book written exam consisting of about 6 questions. You have 90 minutes to complete the written test and the date is set by City and Guilds. The test always starts in the early evening around 06:30 and finishes at 08:00, however from August 2014 the time allowed to complete the test will increase to 2 hours. You can use this exam success book.This is also the book that City and Guilds recommend to maximize your chances to pass. Loads of people who have use it has passed and the type of questions you will get is laid out like in the exam. Answer the question with regards to the details about the installation they list. If they ask how you would perform an insulation resistance test and have mentioned there are electric motors, time clocks, light sensors etc. in the circuit the mention what you would do about those equipment before/during/after the test. Do not just memorise a generic answer and write down as if you cannot think differently. In a 3 phase system you have to remember to multiply your PFC by 2 (technically 1.732). Many people who have not a lot of experience in testing might not always remember this. I know people who boast that they have been doing inspection and testing for over 12 years and I have seen them time and time again fail to multiply the reading. The reason you do this is to allow for the highest possible prospective fault current. In a 3 phase system this will be between 2 line conductors shorting. Remember to use the correct symbols like Ω, V, A etc. If you just give a number as an answer then the examiner will not know what unit you mean and you will not get marks for your answer. So just doing 99% will not cut it. Use the correct terminology. Earth wire? Bonding wire? The correct terms are circuit protective conductor (CPC) and Supplementary Bonding Conductor and you would be wise to learn all the correct term as you will not get the marks if you do not use them. Learn your earth fault paths for the different earthing systems as they do like to ask them. Chief examiners report. You can get it here. Read it and see how they want the questions answered and where c andidates are making mistakes. GN3. Again this is the book the entire test is based upon. You need to know it and the only way to know the book is to read and study it in detail. BS 7671. Even though you do not get many questions about your 17th edition you still need to know the information contained in it. You can find information about IP ratings, and your tables for Zs values(41.1| 41.2| 41.3| 41.4). This is a book any practising electrician who takes his job seriously should own. Exam success book. As stated earlier this is the book City and Guilds recommend in order to pass the exam. The C and G 2394 practical assessments consists of a few different tests you have to complete. 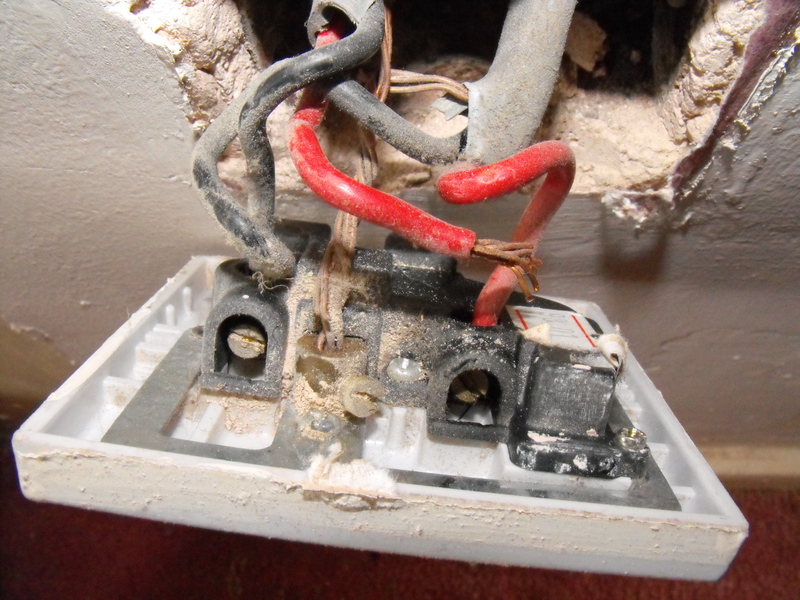 Doing a visual inspection to the standards in BS7671:2008-amd 1 and Guidance Note 3.There are a number of faults on a list the assessor has and you have to identify the 12 faults he has on his list. Missing notices such as mixed colour codes and RCD quarterly test notices. The main thing to remember is that it is visual only, so if you touch something to identify a fault, then the chances are that it is not the fault the assessor is looking for. Furthermore tugging on wires and the like will create other “faults” not on the sheet and doing this will create problems for other candidates who might identify false faults and end up failing the assessment. You will need to do a fault finding exercise on what is called a “black box”. This is fairly straight forward, but do keep in mind that the assessor changes the faults that you must find. Before starting the test you have to complete the usual pre-test checks on the tester, which are checking the tester for damage, seeing of the test leads are not damaged and compliant, that there is enough battery power and that the calibration date is not expired. The test results you can expect is an open circuit (>299M Ω), a reading under 2 M Ω (low insulation resistance), or a reading of 0 Ω (short circuit). You then need to identify these faults and suggest what could be a possible cause for it. You will have 2 hours to complete the entire test with the relevant paperwork on a test rig. The whole of the installation needs to be tested and all the paper work completed fully. Ask for all the circuit details and ask permission to isolate the installation. Lock off the isolator and place tag and put the key in your pocket. Prove your voltage indicator on proving unit, test that installation is dead, and re-test your voltage indicator on proving unit. Insulation resistance test for the installation. If there are no problems at this stage then you can make sure that all the circuit breakers are switched off, and then you can proceed to re-energize the installation. You might be required to put the cover back on, then re-energise, and then take the cover off again. This is depending on the assessor you get. Now do the Ze test with the mains switch off, and by testing at the incoming terminals. Remember to mention the calibration, tests leads etc. are compliant. Reconnect the earthing conductor after the test is completed. The tests for PFC and PSCC can be done in the same manner. Because it is a 3 phase installation you need to take the highest reading you get for your PFC and multiply it by 2. 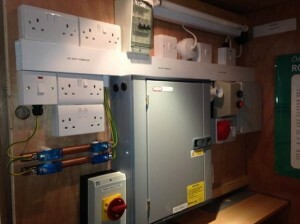 To test the RCD you will need to switch the main switch on and the RCD, but nothing else. Then complete the RCD test at 0.5 X at both cycles, 1X at both cycles and 5X at both cycles and record the readings. Remember to press the test button as well. Lastly you then need to replace all the covers, barriers and accessories to complete the functional tests. This is just checking that the lights switch on sockets work etc. How to complete the electrical installation certificates and other related paper work for test results and inspections. The 2394 is definitely a worthwhile qualification to have. You can then complete the C and G 2395 after this which will definitely make you more attractive to potential employers or if you plan to incorporate inspection and testing into your electrical business.